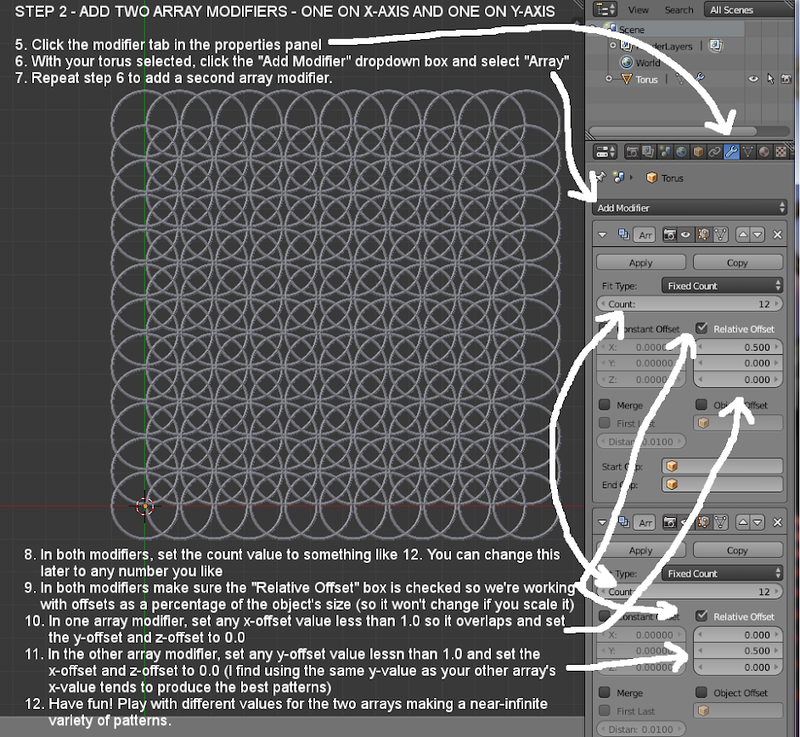 Here's something to play with on the weekend...if you're a Blender beginner and have never played around with modifiers here's a super-easy quick step-by-step tutorial for some fun you can have with the Blender array modifier. 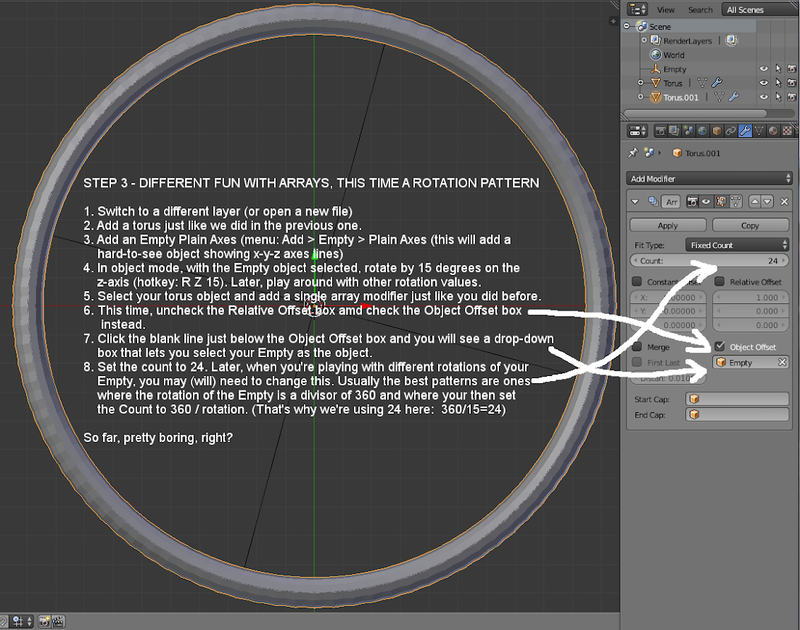 Time Required: 10 minutes....which is going to turn into hours of fun! 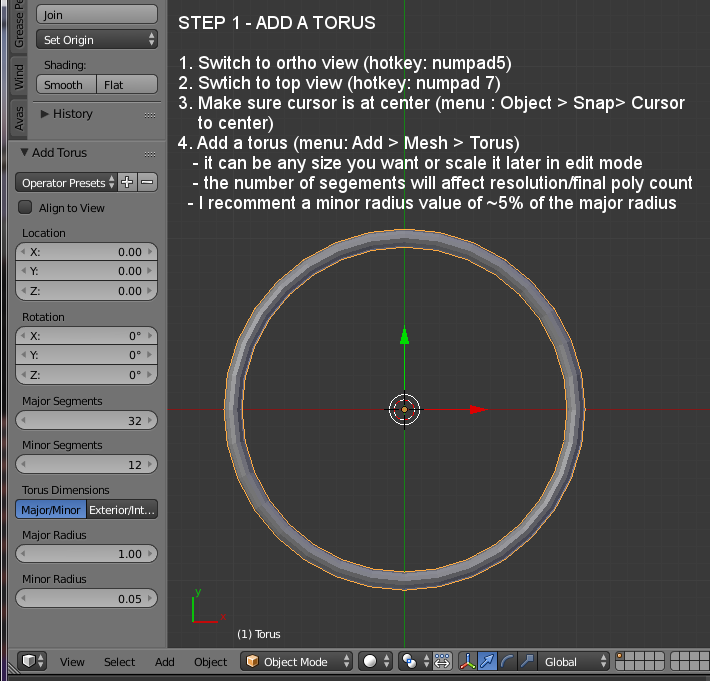 - If you want to make something using this technique and import it to Opensim you will want to keep the number of segments of your torus as low as you can (which keeps the vertex counts at sane values). 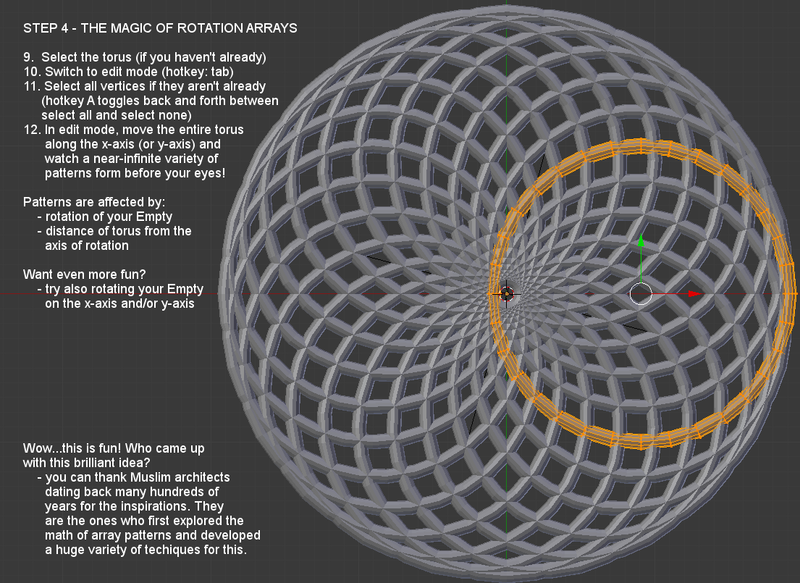 Even so, it's pretty easy to get huge vertex counts. 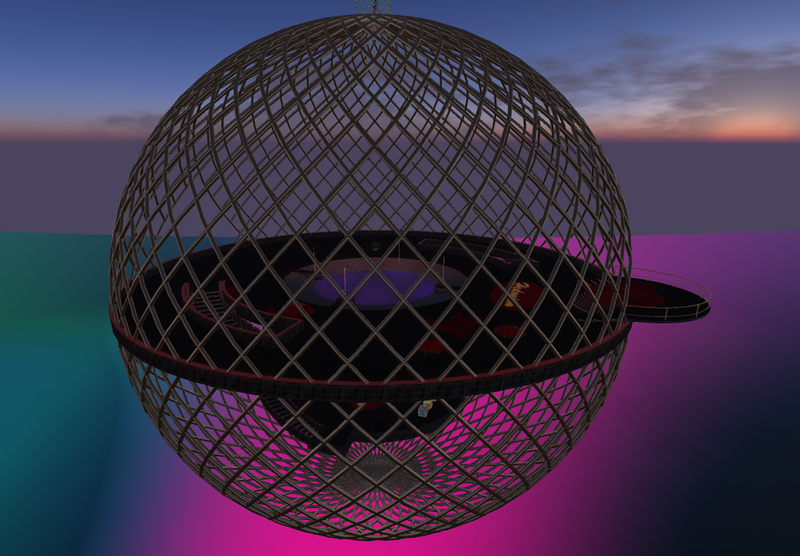 - If you want to put a texture on the object, do your UV-mapping on the single object....all other array objects will inherit the mapping.